Steel reinforcement bars or rebars are used to improve the tensile strength of the concrete, since concrete is very weak in tension, but is strong in compression. Steel is only used as rebar because elongation of steel due to high temperatures (thermal expansion coefficient) nearly equals to that of concrete. 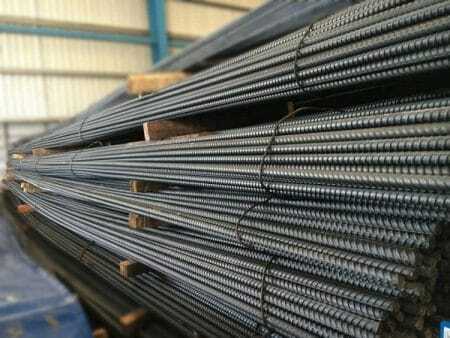 The surface of the mild steel bars are plain and round in shape. They are available in various sizes of 6 mm to 50 mm. They are used in concrete for special purposes, such as dowels at expansion joints, where bars must slide in a metal or paper sleeve, for contraction joints in roads and runways, and for column spirals. They are easy to cut and bend without damage. For structural buildings like bridges and other heavy structures, mild steel bar is not recommended due to no great bonding between concrete and steel, slippage and strength. 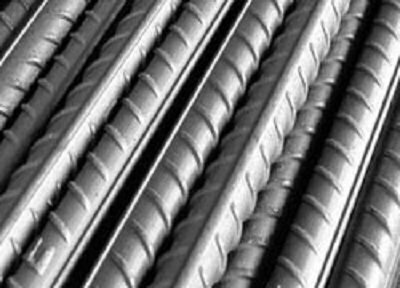 Mild steel bars grade-I designated as Fe 410-S or Grade 60. Mild steel bars grade-II designated as Fe-410-o or Grade 40. 2. Medium Tensile Steel Bars designated as Fe- 540-w-ht or Grade 75. Thermo Mechanically Treated Bars are hot treated bars that are high in strength used in reinforced cement concrete (RCC) work. 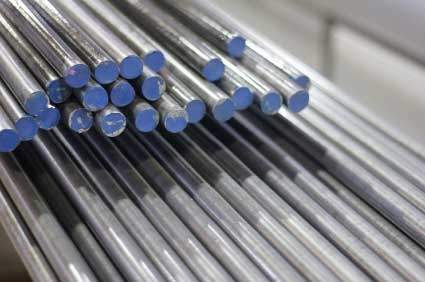 It is the latest induction in the MS steel bars with superior properties such as strength, ductility, welding ability, bending ability and highest quality standards at international level. High strength deformed bars are cold twisted steel bars with lugs, ribs, projection or deformation on the surface. It the extensively and majorly used for reinforcement purposes in a construction. These bars are produced in sizes or sections from 4 mm to 50 mm in diameter. Low carbon value – HSD Bars have lower carbon level, resulting in good ductility, strength and welding ability. Superior bonding strength – HSD bars are well known for their excellent bonding strength when used with concrete. Welding capability – Since these bars have lower carbon content, they have 100% welding capability than conventional bars. High tensile strength – HSD bars feature high tensile strength. They offer great asset in construction process, where a lot of bending and re bending is required. 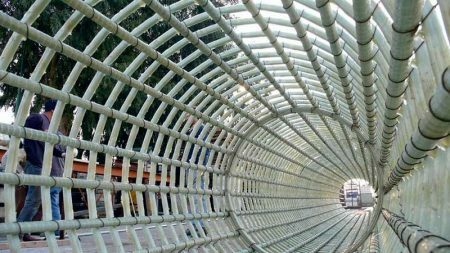 Wide application range – These bars have wide application range like in building residential, commercial and industrial structures, bridges, etc. Satisfactorily malleability – Minimum weight and maximum strength and suitable for both compression and tension reinforcement. 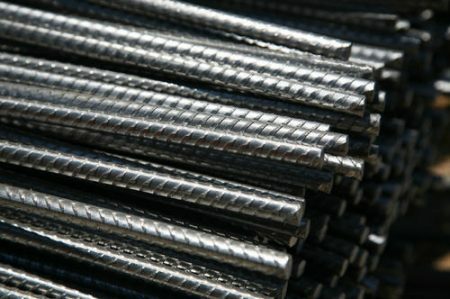 European rebar is made of manganese, which makes them bend easily. They’re not suitable for use in areas that are prone to extreme weather conditions or geological effects, such as earthquakes, hurricanes, or tornadoes. The cost of this rebar is low. As the name represents, it is made up of carbon steel and is commonly known as Black Bar due to carbon colour. The main drawback of this rebar is that it corrodes, which adversely effect the concrete and structure. The tensile strength ratio coupled with the value makes black rebar one of the best choices. Epoxy-coated rebar is black rebar with an epoxy coat. It has the same tensile strength, but is 70 to 1,700 times more resistant to corrosion. However, the epoxy coating is incredibly delicate. The greater the damage to the coating, the less resistant to corrosion. GFRP is made up of carbon fibre. As it is made up of fibre, bending is not allowed. 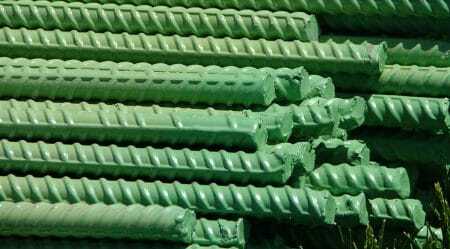 It is very resistant to corrosion and is costly when compared to other rebars. Stainless steel rebar is the most expensive reinforcing bar available, about eight times the price of epoxy-coated rebar. It is also the best rebar available for most projects. However, using stainless steel in all but the most unique of circumstances is often overkill. 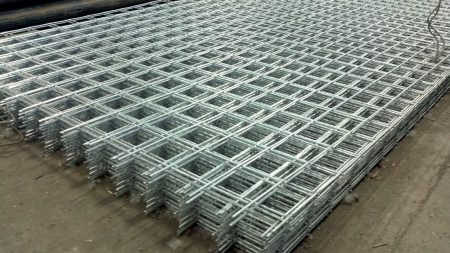 But, for those who have a reason to use it, stainless steel rebar 1,500 times more resistant to corrosion than black bar; it is more resistant to damage than any of the other corrosive-resistant or corrosive-proof types or rebar; and it can be bent in the field.